The W corkscrew is the ultra modern, design led offering from LIGNE W. The vibrant colours on the PLA-lacquered handle (an eco-friendly starch-based product) give the ‘W’ corkscrew it’s signature look. It is not all about looks with the ‘W’ corkscrew, when it comes to functionality the ‘W’ is up there with the best. It is used as a waiters friend in restaurants and bars across the globe and the dual lever system makes it easy for you to open your finest bottles in style. The stainless steel is extremely high grade and is brushed to give it a beautiful finish. The cherry on top for the ‘W’ is its unique stand. When you are not using the ‘W’ just slip the foil cutter into the stand and you have a mini work of art, a sculpture for your table. Again this highlights the functionality alongside the aesthetically exciting nature of all the LIGNE W products. 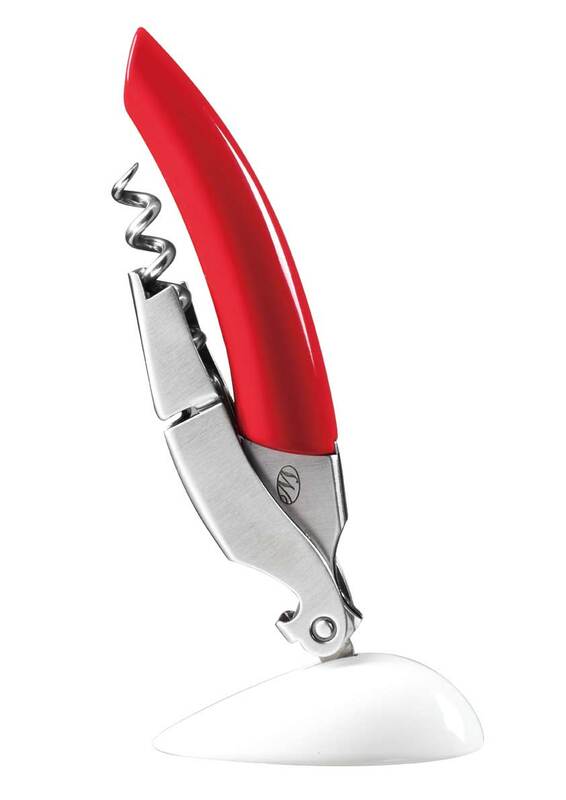 The ‘W’ corkscrew is presented in beautiful, modern packaging making it an ideal gift.